To celebrate Ferrari’s 70th anniversary, the famed Italian automaker and Hublot unveiled the Techframe Ferrari 70 Years Tourbillon Chronograph. “Designed by Ferrari, crafted by Hublot”, the watch was created at Ferrari and then produced at the Swiss watchmaker’s manufacture. 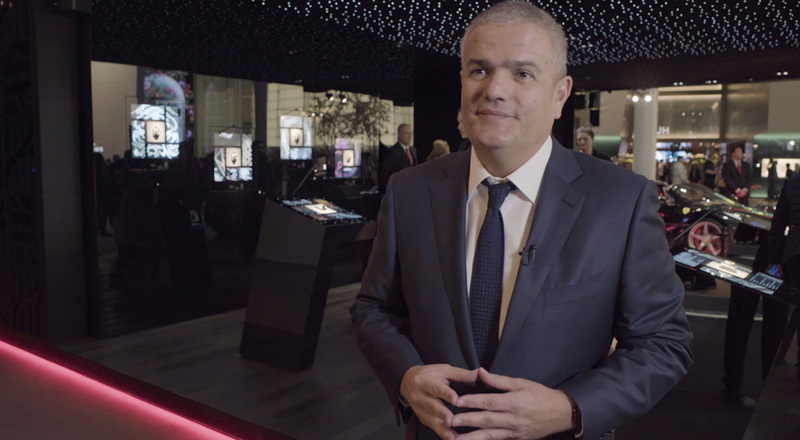 The Hublot CEO presents a timepiece that fuses the automotive and watchmaking worlds.